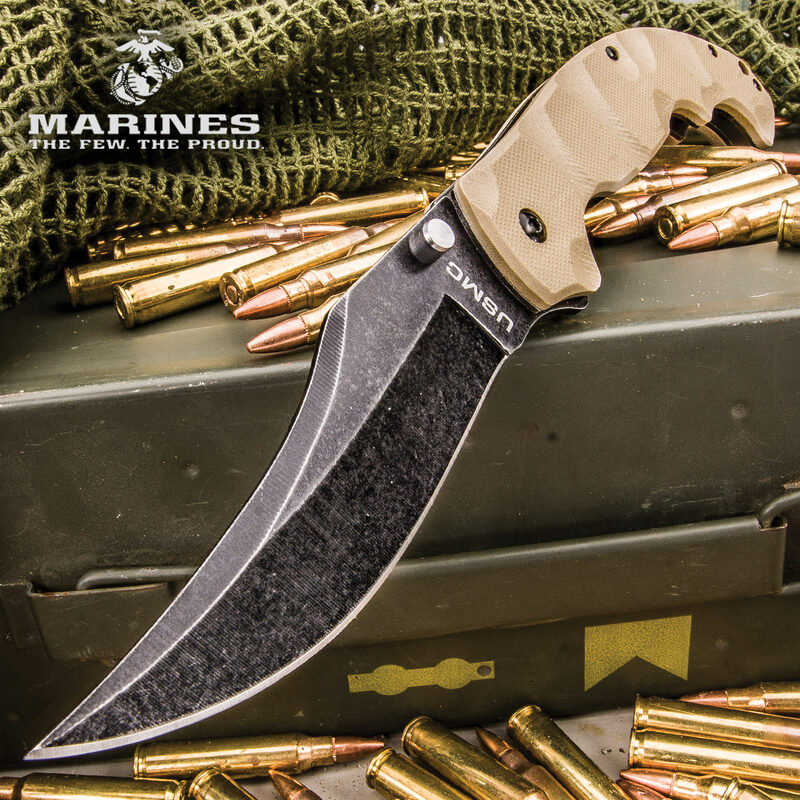 Poised and ready for action, no matter the job or environment, our Scorching Sands Clip Point Pocket Knife is officially licensed for battle by the US Marine Corps! 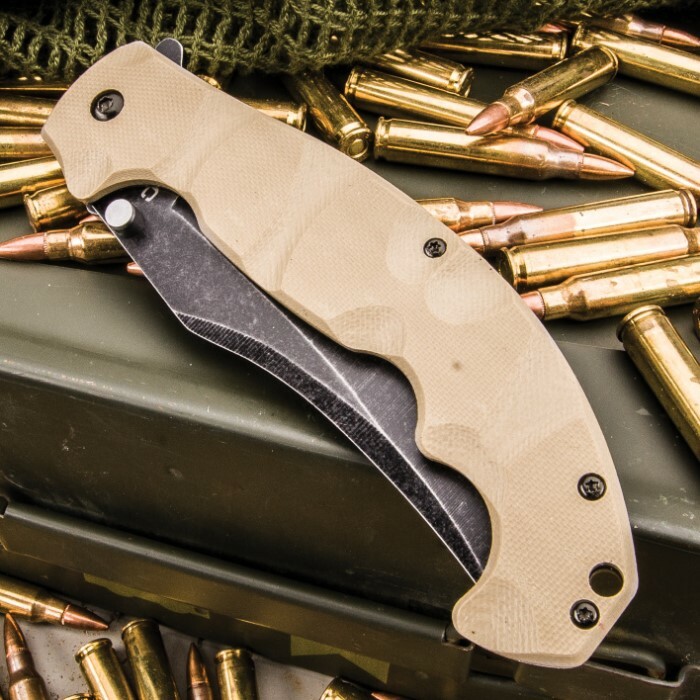 It has a 4 1/2” stonewashed 3Cr13 steel clip point blade, which can be quickly deployed with the assisted opening mechanism, using the thumbstud. 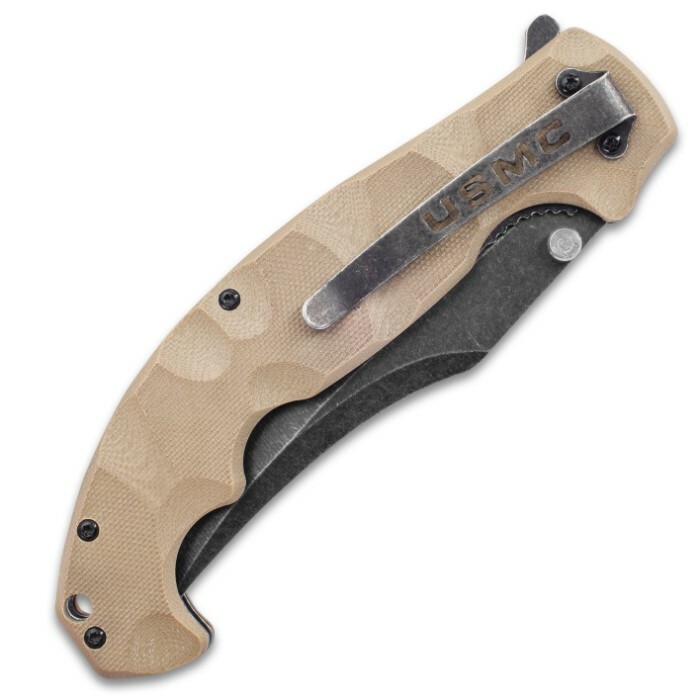 The ergonomically contoured, textured handle is constructed of heavy-duty G10 and features a stonewashed metal pocket clip with a USMC cut-out. Got this as my KOTM and I'm in love!! The blade is very sharp, and the knife is overall a really good size. Definitely one of my top favorites. Many concealed carry handgun advocates recommend a backup (knife). This is a fine weapon that will serve as my backup. Easily worth the $24.00 price tag after you pay for the shipping charges. 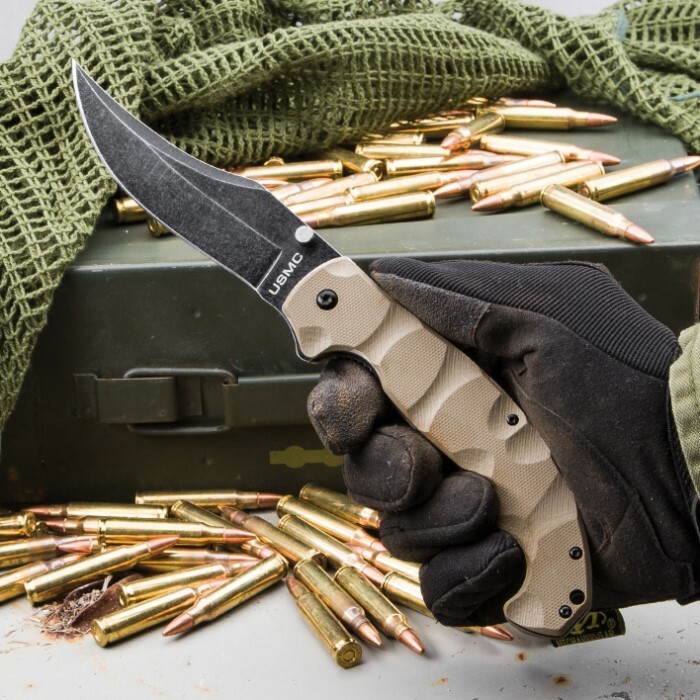 That said, the blade epitomizes the high end precision quality & craftsmanship of knife brands such as Sog, Gerber and Kershaw. 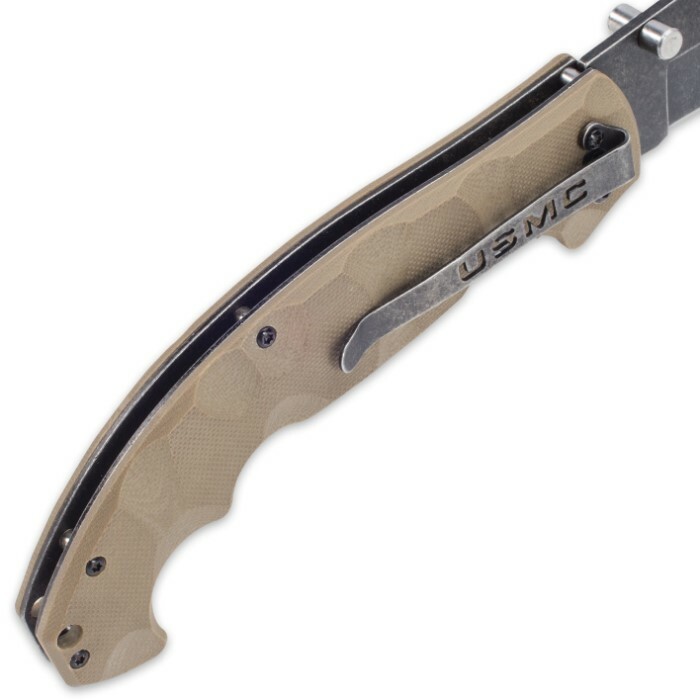 I will gladly recommend this blade to any of my friends and family members.